Lactose is a sugar found in milk and other dairy products. Lactose intolerance occurs when your body’s ability to digest lactose is impaired due to a deficiency of an enzyme called lactase. This can lead to symptoms like stomach pain and bloating, gas, diarrhea and nausea after eating dairy products. Limiting your consumption of dairy products can help control symptoms. 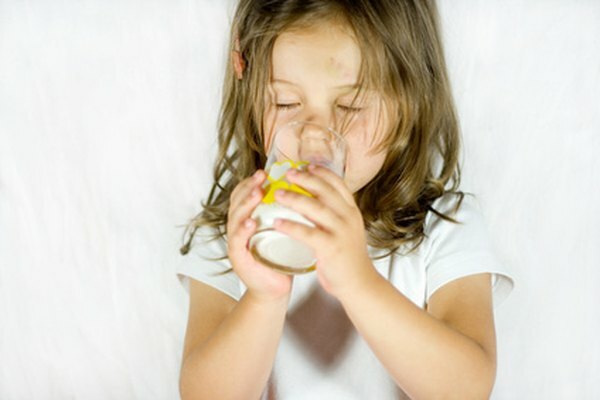 Milk is typically a problem for people with lactose intolerance, but many people with lactose intolerance can drink up to a 1/2 cup of regular milk at a time without causing symptoms. Drinking milk with meals may make it easier to digest, and you may also want to start with a small amount of milk and gradually increase the amount you drink to build up a tolerance. You may also want to switch to lactose-free milk, which is available in most supermarkets, or take lactase supplements to reduce symptoms when you do drink milk. Lactose is found in most other dairy products besides milk, so you may want to limit your consumption of them. These include ice cream, cream, butter and yogurt. Cheese also contains lactose, though the amount varies depending on the type of cheese. Soft cheeses like cottage cheese tend to be higher in lactose. Some hard cheeses, such as Swiss or cheddar cheese, contain less lactose and may not cause symptoms if eaten in moderation. Lactose is an ingredient in many prepared foods you might not think of. These include bread and other bakery items, cereals, baking mixes, instant potatoes, soups, nondairy creamers, whipped toppings, protein powders and bars, breakfast and meal replacement drinks, processed meats such as deli meats, bacon or hot dogs, frozen entrees, potato chips and other snacks, candy, salad dressings and margarine. Check the ingredients list of any processed foods you buy for these words, which indicate the product contains lactose: milk, whey, milk byproducts, curds, fat-free dry milk powder and dry milk solids. Lactose is also used in some medications, including birth control pills, so ask your pharmacist what options are best if you have lactose intolerance. Some dairy products contain less lactose than others, so you may want to experiment to see what and how much you can eat without causing symptoms. Alternatives include goat’s milk, soy or rice milk and dairy products made from lactose-free milk. Cultured milk products like yogurt or buttermilk with active live cultures may cause fewer symptoms because they contain bacteria that help break down the lactose. But products without active live cultures, including frozen yogurt, may be more difficult to digest.